Kendra is the Human Resources/Talent Acquisition for Gemini Group. 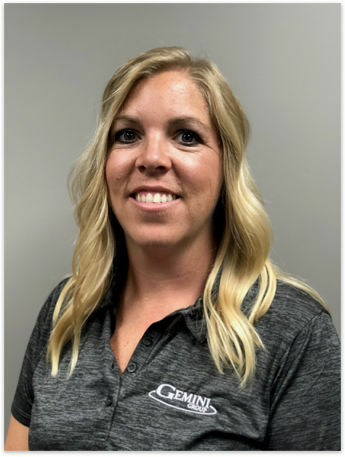 Kendra has been with the Gemini Group for nearly 3 years where she started as the Human Resource Generalist at Thumb Tool & Engineering, a subsidiary of Gemini Group. In June of 2018, she transitioned into the Talent Acquisition role. She has earned her Associate of Business from St. Clair County Community College. Then she studied Human Resource Management at Davenport University where she received her Bachelor of Business Administration – Human Resource Management degree. Kendra serves as a member of the Deckerville League of Women and a member of GST Michigan Works! Workforce Development Board. Kendra and her husband, Chris, reside in Deckerville with their sons Ryan and Cameron. GPTF Awards to 41 Businesses!JMG Participant Success!